Small Business Saturday, November 24th, is the day we celebrate the Shop Small movement to drive shoppers to local merchants in Pleasanton and across the country. Thirty Downtown Pleasanton businesses will be participating in this all day event and many are offering special discounts on shopping, dining and services. Balloons, stickers, shopping bags, pet bandanas, pens and more will be given to customers throughout the day, while supplies last, as a thank you for supporting local businesses. When we all Shop Small, we support the small businesses that keep our community unique and vibrant. Free photos with Santa will also be offered at the Museum on Main located at 603 Main Street from 10am to 1pm. BICYCLES! Pleasanton 537 Main Street Donate 10 cans/non-perishable food items or $20 and get 10% off your purchase. Fleet Feet Sports Pleasanton 234-A Main Street Buy 3 socks, get 1 free! Fusion 3 Salon 722 Main Street All first time guests get $20 off of their first service. Plus, For the holidays we offer gift sets from our professional home-care lines, Aveda and Davines. They are pre-wrapped gifts and 20% off. Heavenly Day Spa 357 Ray Street Passing out 20% off cards for a massage, facial or any one hour treatment. Passionate Athlete 350 Main St, Suite A2 BIG Store Wide SALE plus treats! Come check out new location! In store discount coupons All Day! Sole Desire 310 Main St, Suite C “Spin the Wheel” of savings. Any items $75+ will receive a spin to save either $10, $15 or $20 off the item. Studio Seven Arts 400 Main Street All hanging art will be 20% off for the day. Vic’s All Star Kitchen 201 Main Street Sign up for our rewards program and receive discounts when you dine with us! Why shop in Downtown Pleasanton? Buying locally ensures our city stays extraordinary and the place to go. Local merchants get to know our local tastes and select merchandise with the local community in mind. You get personal attention. You feel connected. Our businesses make us special and give us a strong sense of loyalty for our city. The more unique we are as a community, the more we attract visitors, which benefits everyone. Shopping locally also keeps dollars in our economy. When we support our local businesses, our sales taxes are reinvested right here in Pleasanton. For every $100 spent at an independently owned Pleasanton store, $46 stays in the community. That makes Pleasanton extraordinary! Buying locally is more environmentally friendly too. When we shop in Downtown Pleasanton or at our local neighborhood shopping center, it often means that you can walk or bike to shop, supporting conveniently located and accessible shops. You also get products that are often better made because our neighborhood stores stand behind them. 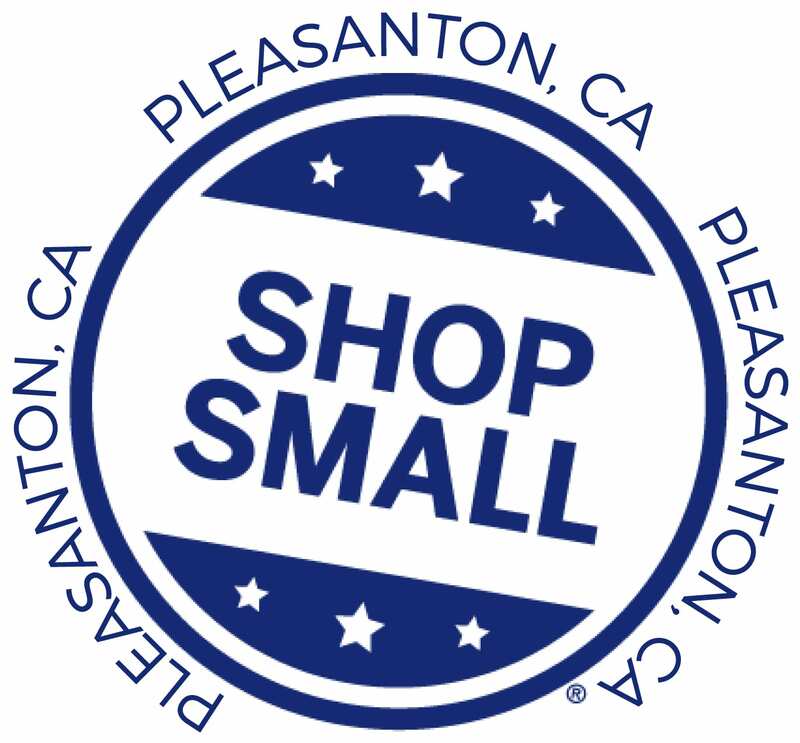 Get involved by committing to shop in Downtown Pleasanton on Small Business Saturday on Pleasanton Downtown Association’s Facebook Page. Show your support by taking selfies at your favorite downtown businesses. Tag the business and the Pleasanton Downtown Association in each photo and share them with #ShopSmallPleasanton. Help make November 24th the Biggest Day of the Year for small business in Pleasanton!